Posted on 07/31/2018 by Mickey McCarter	in Live Review and tagged Black Cat, Brooklyn, free tickets, klezmer, punk, riot grrl, The Shondes, ticket giveaway. Vocalist Louisa Solomon and violinist Elijah Oberman formed punk rock band The Shondes in Brooklyn more than a decade ago to put their political activism into song. And you would be right if you might imagine that a feminist band known for their incendiary lyrics might find fresh cause in the current political climate! The Shondes come roaring back onto stage at Black Cat on Aug. 9, and you can win tickets to go with Parklife DC. 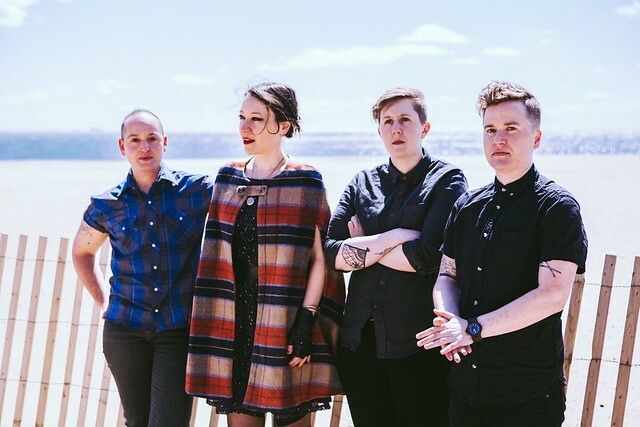 Over on Facebook, The Shondes have hinted they may have a new song or two, but their last full-length release was fifth album Brighton via Exotic Fever Records in 2016. Parklife DC is giving away a pair of tickets to see The Shondes. To win, simply leave a comment on this blog. You can leave any comment, but we would like to know your favorite song by The Shondes. Comments will be closed at 5pm on Thursday, and a winner will be randomly selected. The winner will be notified by email. The winner must respond to our email within 12 hours, or they will forfeit their tickets and we will pick another winner. We will email you instructions on claiming your ticket. Good luck!